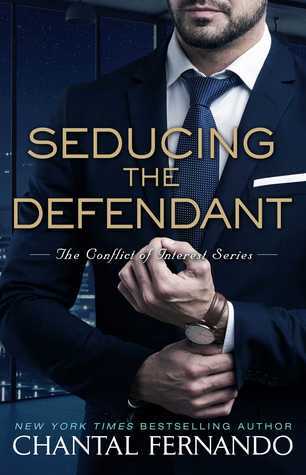 Seducing the Defendant was a good read and one that I really did enjoy. It has everything I like to see in a romance, and I couldn’t help but fall in love with Jaxson. I will admit I was a bit nervous going into this one after reading Breaching the Contract, but the build in this one was done a lot better. I will also like to say I wasn’t sure about Scarlett at first. The book has dual POV but it did take a few chapters before it switched. The reason why I think I didn’t instantly connect to Scarlett is because the author didn’t put her POV first. Which didn’t mess with the storyline in any way, but my first impression of her wasn’t good. But the more I read and the more Scarlett opened up, I realized she was so much more than what people thought. Jaxson was very likeable from the beginning, and it was very nice to see him be an alpha male but also very compromising when he needed to be. The only downside to this one was the ending. Through the entire book the pace was so good, but then those last few chapters were so rushed and the epilogue just ended in mid-sentence. Honestly that was very disheartening because I wanted a better ending for Jaxson and Scarlett. Hopefully the author will give these characters a novella or something else on them because I really feel their story wasn’t finished properly.